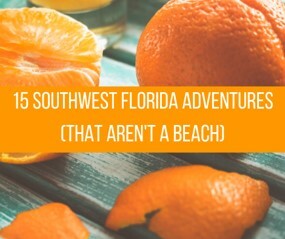 Southwest Florida is so much more than just world class beaches! All kinds of entertaining adventures await you inland. We've got you covered when you want to take a break from the beach! 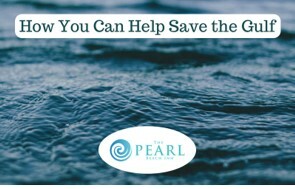 Here are some organizations doing what they can to help the Gulf and Florida’s waterways! ​Safety needs to be your priority in every situation. This especially applies to the beach because bad things can still happen on vacation! Hunting for fossilized shark teeth on the beaches of Florida's Gulf Coast is similar to riding a bike. It can be a daunting and seemingly impossible task if you don't have any experience. Once you learn some basics and a couple expert tricks, you'll be bringing home hundreds of them every trip out! Good morning from my favorite Room #5! As I write this the windows are wide open and I'm just listening to the waves and the coffee percolating! Who needs television?I love each and every room here at the Pearl Beach Inn. They all have their own charm! You just found the perfect spot for a small beach wedding on Florida's Gulf Coast! The Pearl Beach Inn hosts beautiful weddings right on our secluded beach! Vacationing away from it all at the Pearl Beach Inn on Manasota Key has many advantages. Peace and quiet for prime relaxation time is one of them. However, adventure of all kinds is never far away! Staying steps away from the Gulf of Mexico at the Pearl Beach Inn is a great way to spend a Florida beach vacation. For those of us lucky enough to call this part of Southwest Florida home, we have our favorite spots to visit here as well! Here is our consensus Perfect Englewood Florida day! We asked our some of our regular guests to describe the Pearl Beach Inn in one word on a Facebook post. Here are the 23 words they used to describe our tranquil spot on the Gulf of Mexico! We have you covered if your need for speed and action doesn't take a vacation on your vacation! There are plenty of open water spots in Lemon Bay & on the Gulf of Mexico. Enjoy them in a boat, jet ski or while parasailing! Cell phones have turned us all into photographers and given us the ability to delete bad photos instantly and save the rest. What should you do with all those beautiful photos you take on your Florida beach vacation? How about turning them into a photo collage, thank you card or a poster? Manasota Key Florida seems like an isolationist's paradise. It's off the beaten path and allows you to travel to a simpler time. Some people treasure the time away from it all, but others prefer bringing along friends or family with to enjoy Florida's Gulf Coast! Here are some ways to make a vacation with others work at the Pearl Beach Inn! Don't let rain ruin your day! Stay dry and have a great time with these inside entertainment options around Englewood & Venice Florida! 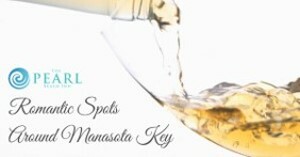 A trip to the spa is a great way to supplement the relaxation of your beach vacation on Manasota Key! Here are the top rated spas in the area. Myakka River State Park is located off of Route 72 around 10 minutes east of I-75 which is about an hour drive from The Pearl Beach Inn. The park is home to hundreds of American Alligators. ​Every parent knows there is a real chance that their children may not want to just sit and relax on the beach. Here are 11 beach games for kids to keep them busy and safe! What's the best way to check out the Southwest Florida Brewery scene responsibly and also make sure everyone can have a drink? Punta Gorda Brew Tours has the solution - Brewery Tours! Want to hit the links for a round on your Florida Vacation? We've got you covered with 5 Golf Courses within 10 miles of The Pearl Beach Inn on Manasota Key! We know you won't want to leave our cozy beachside Inn! Here are options anywhere from 1 - 25 miles away if you do want to get out and explore! You might not think of south Florida when you think of "happening" places in the United States, but there's more happening here than meets the eye. Here are seven offbeat attractions you have to visit in Sarasota Florida if you are visiting Siesta Key! Get your day planner ready and chart the Sunset Times during your Florida Vacation with this helpful chart! Never miss another gorgeous Florida Sunset again! Relaxing at the beach is a truly special experience. Responsible adults can make this experience extra special with a delicious mixed drink to enjoy. Here are 11 delicious mixed drink recipes designed to put you in a paradise state of mind on the beach. Everyone who visits Florida immediately notices the birds. There is a collection of beautiful and unique bird species like nowhere else in the world. They come in all shapes and sizes and wander in and out of daily life here like they own the place. We have a Florida Birding Trail right here on Manasota Key! The Pearl Beach Inn on beautiful Manasota Key Florida is truly a paradise like none other. Our guests come from all around the world and from all over Florida to experience our one of a kid Beachside Inn. Venice Florida is referred to as "The Fossilized Shark Tooth Capital of the World." This is because of the fossil layer that exists off of the Venice coast. The constant waves and storms drive the fossilized shark teeth onto shore. Some of the best spots to find these teeth are on Casey Key, Venice Island & Manasota Key. Florida is one of the most popular spots for tourism in the United States. The Sunshine State has something for everyone from theme parks to night clubs to quiet Old Florida beach towns. The perfect Anniversary getaway for most couples is somewhere you can relax in a private setting. Here are 3 spots on Florida's Gulf Coast that make great relaxing Anniversary getaways for couples celebrating decades of marriage. What could you possibly be forgetting when packing for your Manasota Key Florida Vacation? We've got you covered! The Pearl Beach Inn has been hosting guests for many years and we like to think we know a thing or two about what you'll need to make your Manasota Key vacation a special time you'll never forget!